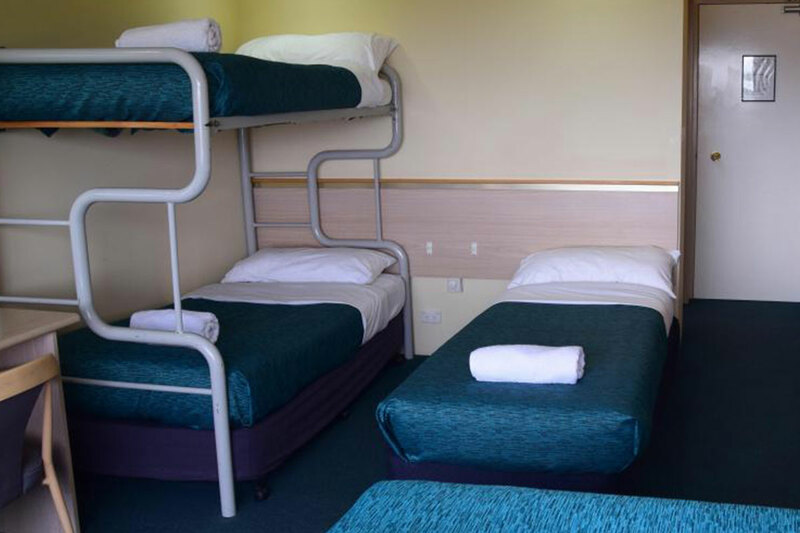 Our joining rooms are great for families and feature a queen bed in each room and either a bunk or a bunk and a single bed. With TVs, DVD players, in room heating, ensuites, microwaves, bar fridges, free WIFI in room, free DVD hire (Winter only), hair dryers, kettles with tea and coffee making facilities, blockout curtains, with all linen provided and daily servicing. One parking space per room onsite. To sleep between 8 and 10. Please call to book direct as booking joining rooms is not an option over the internet.